NEW FOR 2018 3 HD LCD FLAT SCREEN TELEVISIONS PERFECT PICTURE! 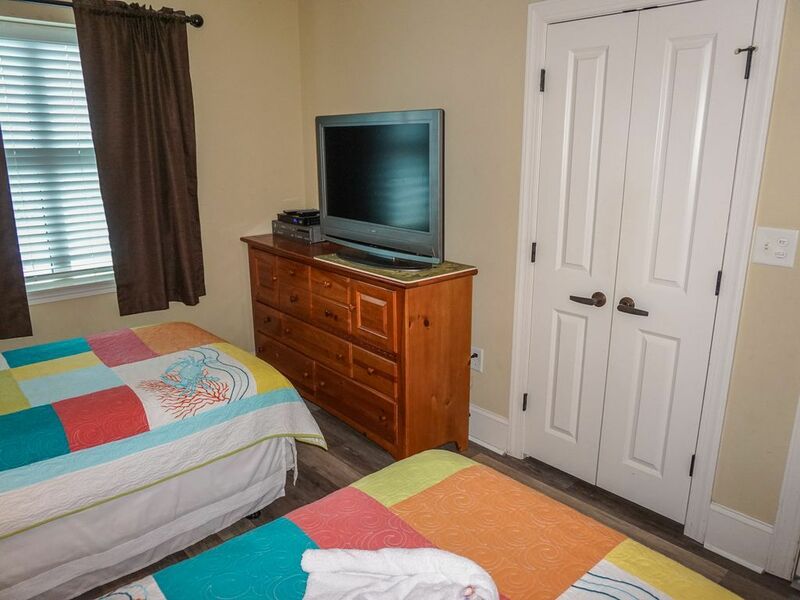 DVR Recorder, New Flooring in dining and living room, Beach Wagon, 6 beach chairs,boogie boards, beach umbrella, beach toys, Life Jackets and more in our beach locker. New Dining Room table and chairs. 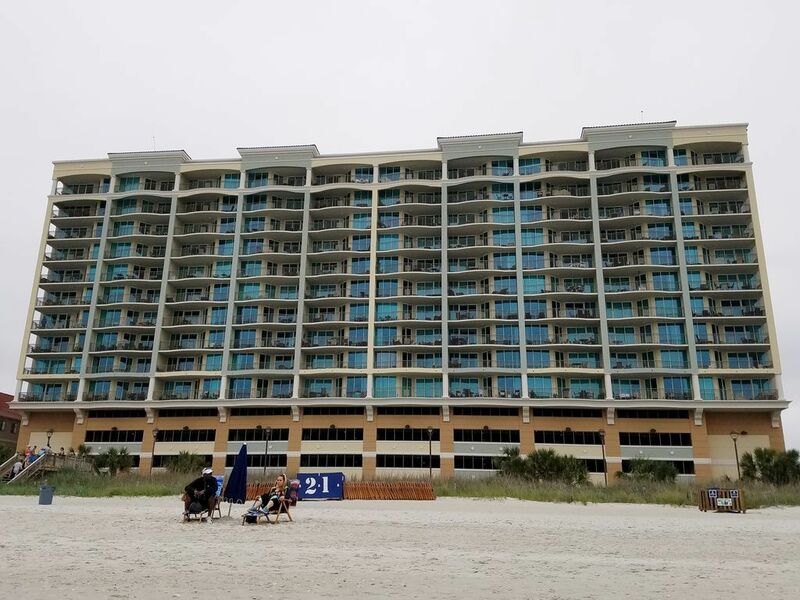 Newly Built (2008) 4 Bedroom Condo Located On The Ocean In North MYRTLE Beach, 2 KING BEDS With Luxury Pillow Top Mattresses With 3 Deluxe Bathrooms, 2 Full beds in third bedroom (New for 2017) Two Sets Of FULL NEW Bunk BEDS New for 2017. 50' HD FLAT SCREEN TV. 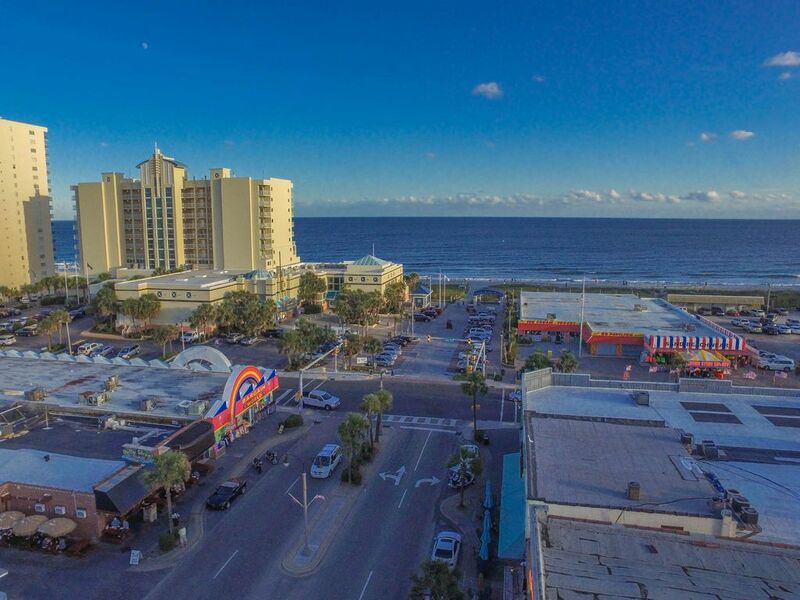 1,880 SQ.FT,Including Ocean View Balcony. Spacious Living Room. Several Upgraded Amenities. 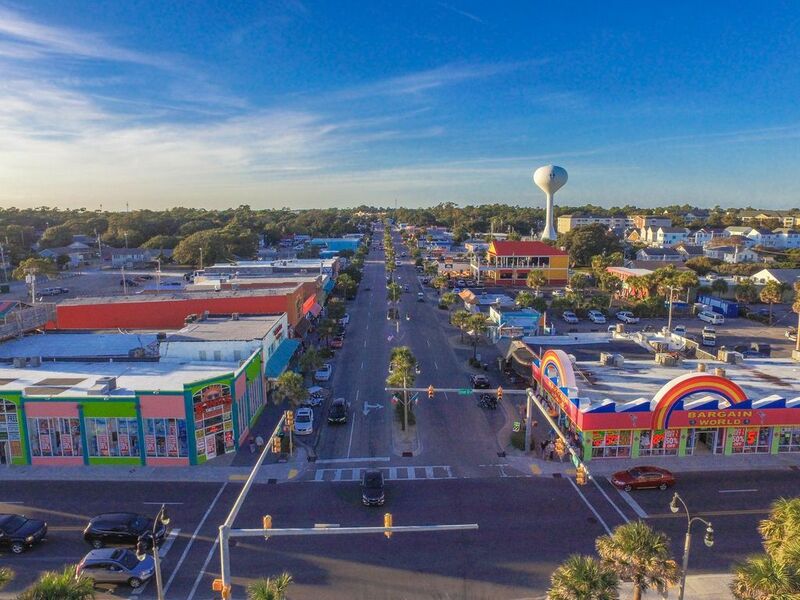 Walking Distance To Downtown N.Myrtle Shops And Restaurants. 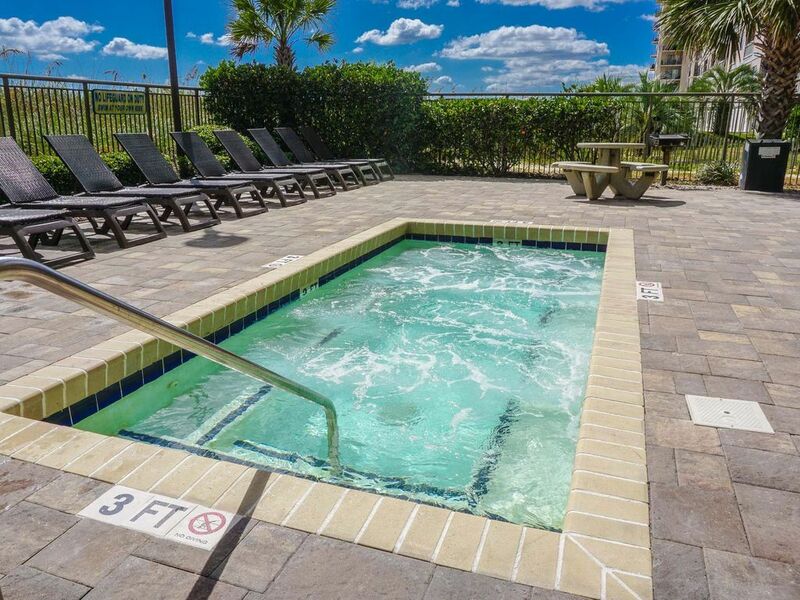 Heated Indoor Pools With Hot Tub, Outdoor Pools With Hot Tub And Lazy River. Other features of Mar Vista Grande's tastefully furnished accommodations include complete kitchens, and high-speed internet access. 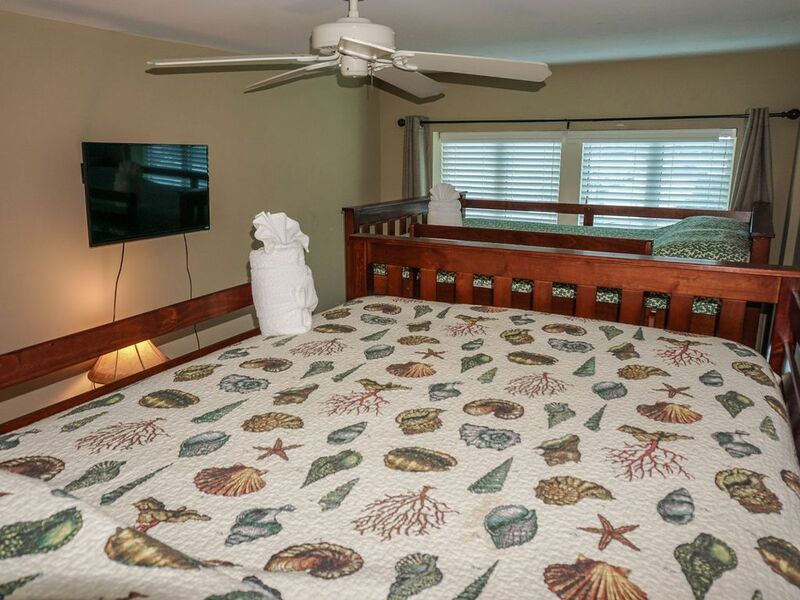 Each well appointed kitchen has gorgeous granite counter tops, ceramic tile floor, self-cleaning range, microwave, side-by-side refrigerator with ice maker, garbage disposal, dishwasher, and a full size washer and dryer. 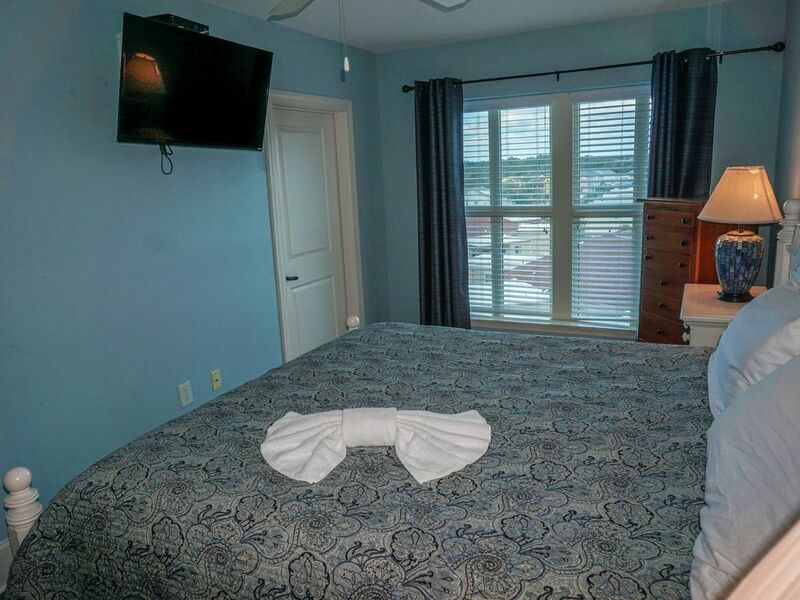 The Master Bedroom features a walk-in closet and a private bath. 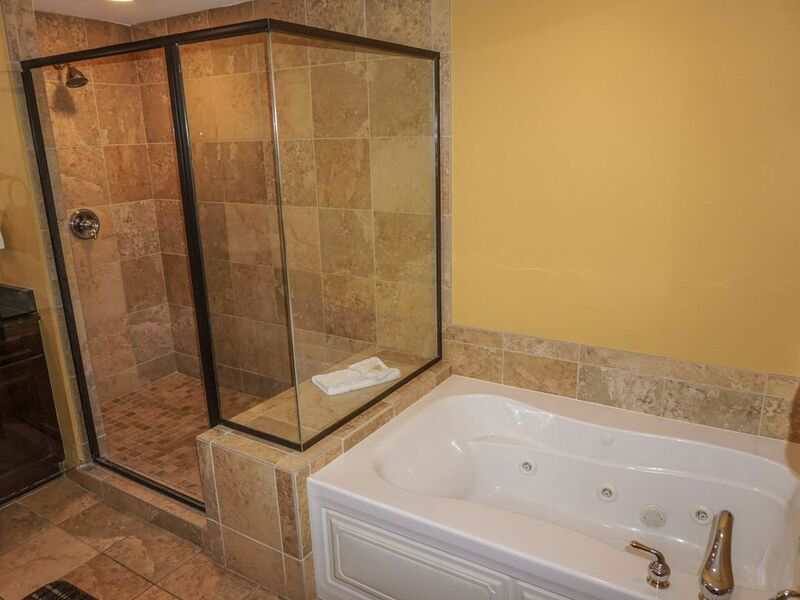 Master Bath has a ceramic tile walk-in shower, a Jacuzzi-style tub, granite counters with double sinks and a magnifying mirror. 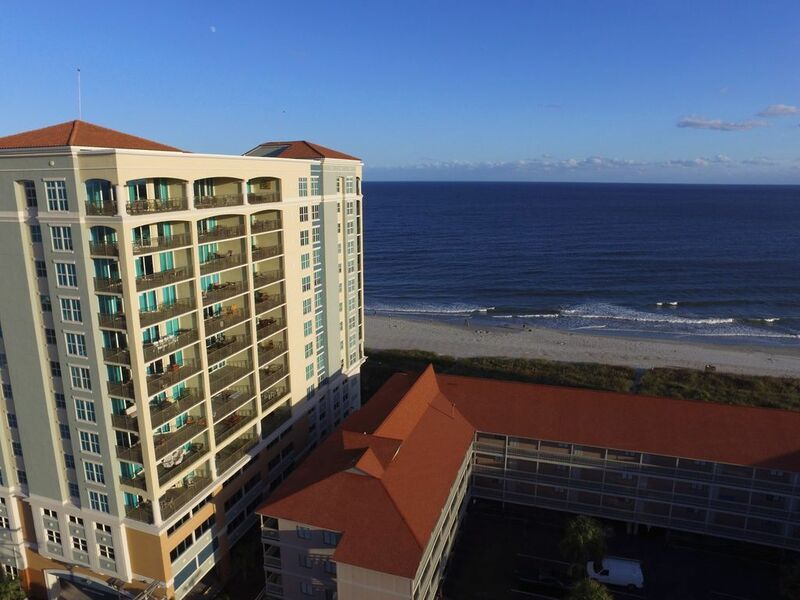 These exceptional condo's have outstanding views of the Atlantic Ocean from the large balconies with access from the master bedroom and living area. 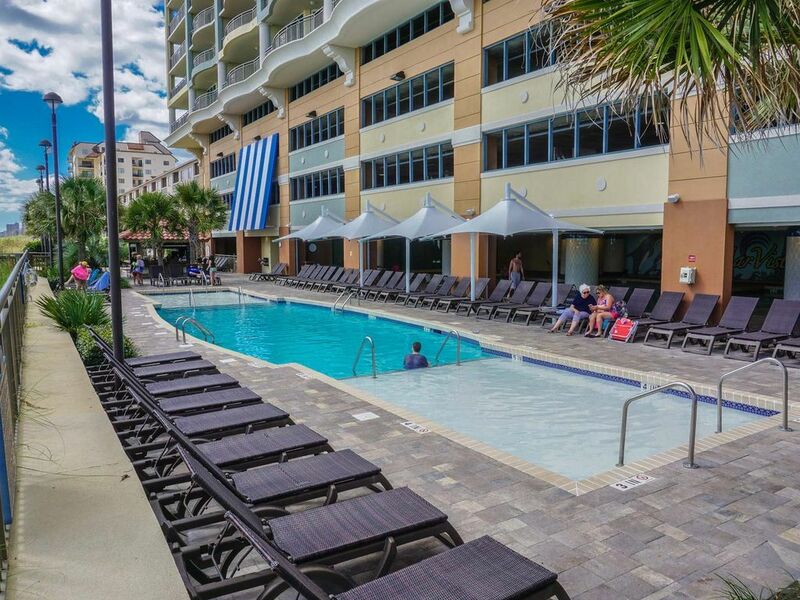 This is the best location in North Myrtle Beach that we have ever stayed at. 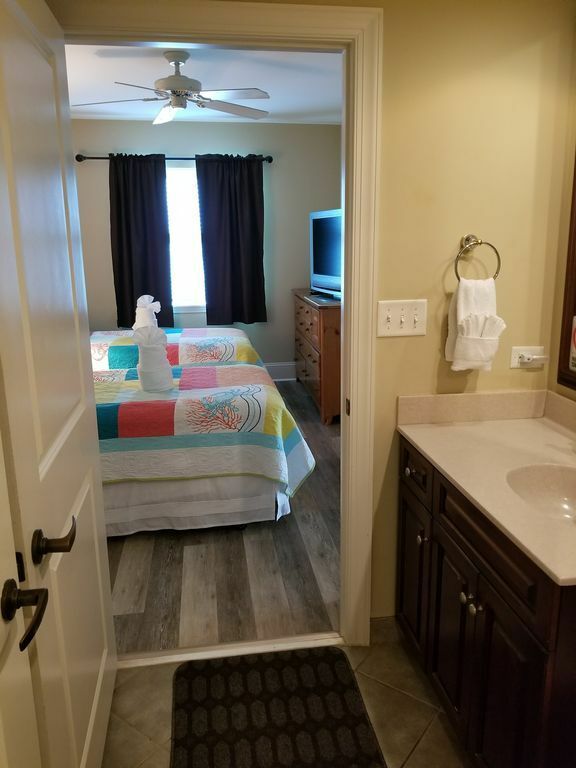 We come back every year to the same condo, it is clean and the Marvista Grande is a well run facility. Great location. Upscale property with a nice pool area which was great for our entire family. Well stocked for our weeks stay. Owner was very responsive and accommodating and we will return if the opportunity arises. It was great!! Tom was super nice and informative and the property was awesome too! My family with kids and grandkids stayed at Mar Vista for almost a decade. 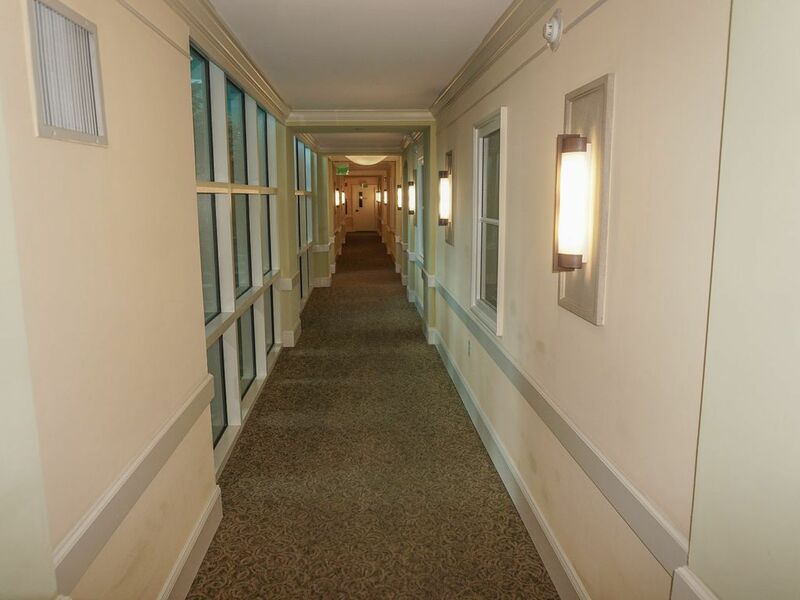 We need a four bedroom unit and have had everything from penthouse to sixth floor. 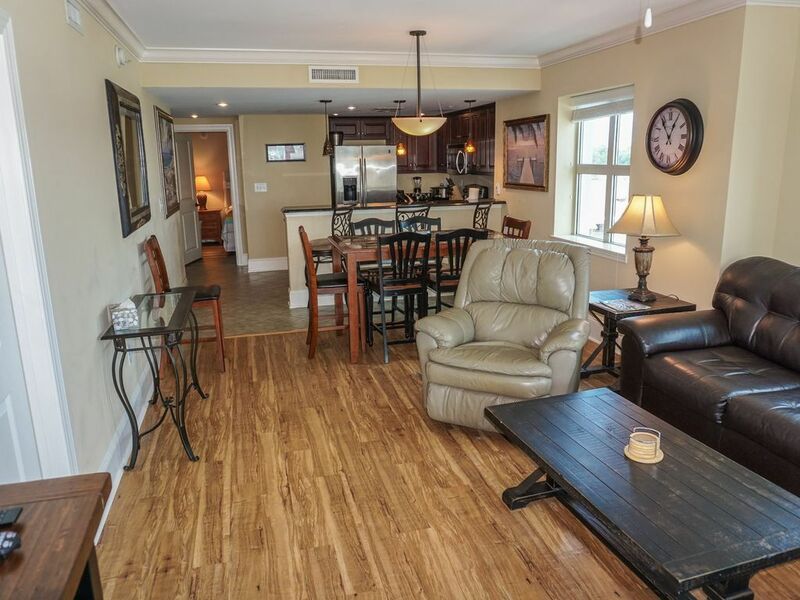 This time we rented Unit 701 and it is by far the best of all. The decorations and furnishings are functional and beautiful. 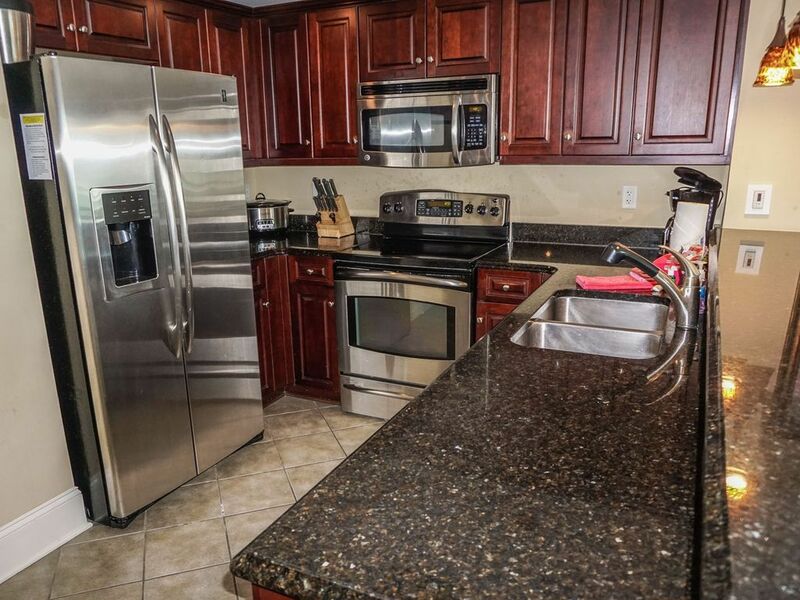 The kitchen is very well equipped and even has a crockpot and Keurig coffee maker. The grand children really liked the bunk bed room (four beds). 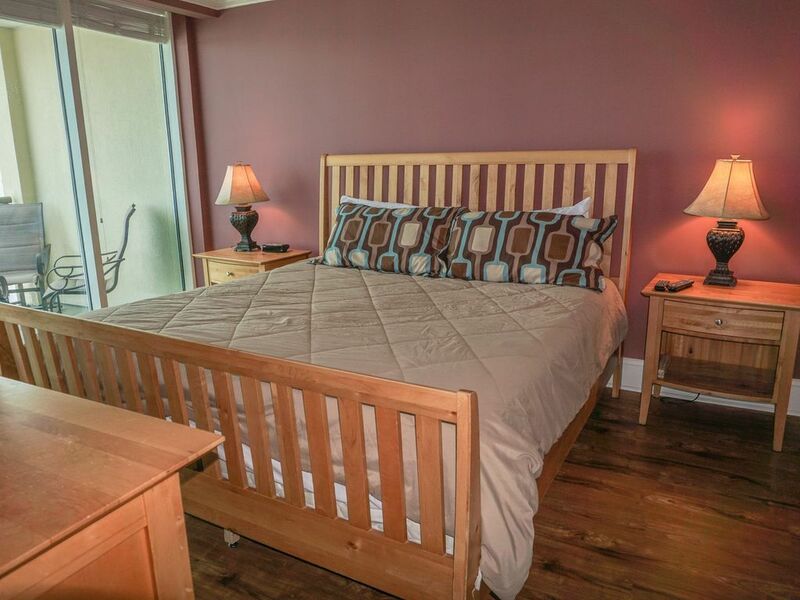 The unit is beautifully maintained and has modern furnishings with plenty of towels. The Wi Fi is excellent and each room has a flat screen TV. The fully equipped beach locker is an unexpected plus. The owner, Tom Raglow, is a pleasure to work with and extremely accommodating. The family is already making plans to visit in 2019. Thanks, Tom. 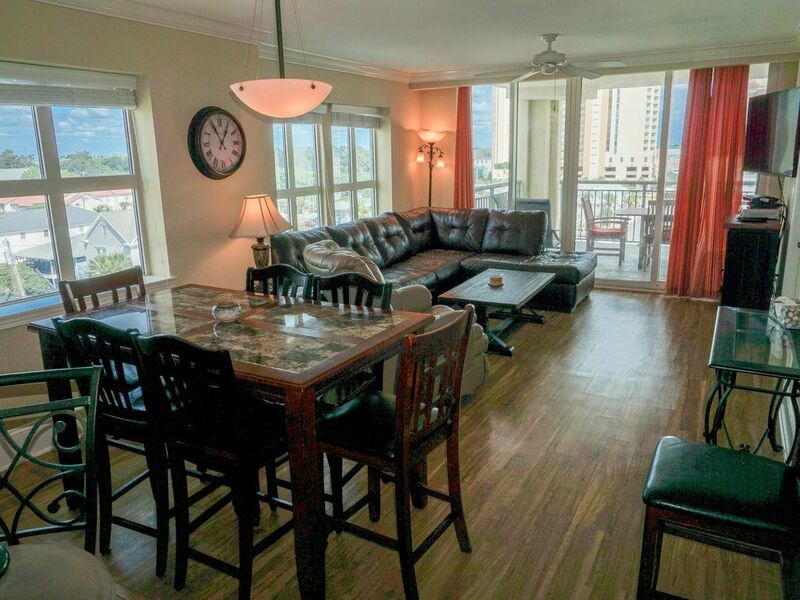 This 4 bedrpom condo was perfect for our family of 12!!! We loved the condo itself and Mar Vista. 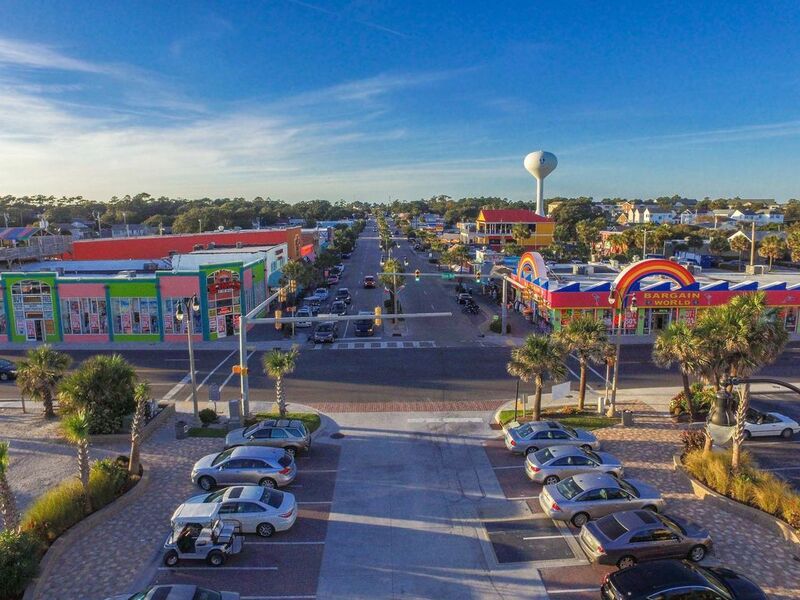 Mar Vista is definitely the best condo complex in North Myrtle beach. Adults and children had a blast. Everything was super clean, the indoor and outdoor pool and spa facilities were great! 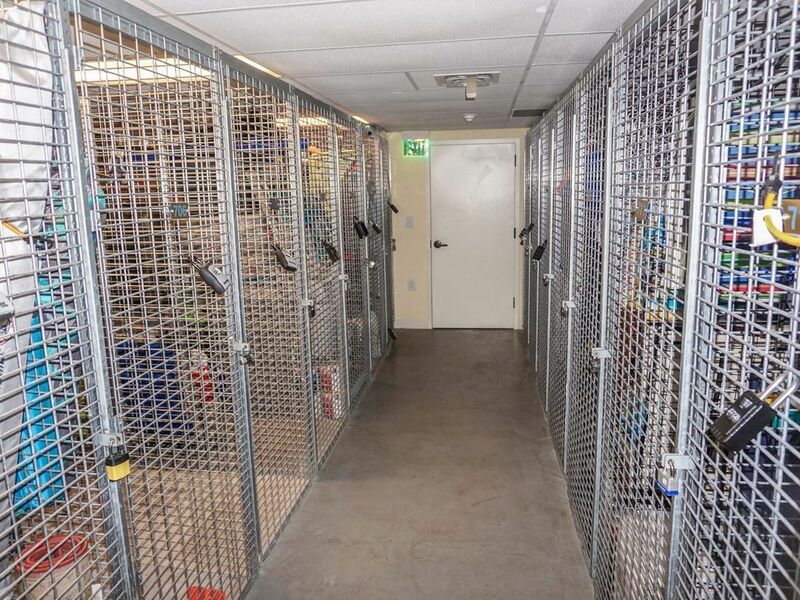 Best of all, the owners were super flexible and easy to reach and communicate with. They were very kind as well. They had everything we needed for the beach. We will absolutely rent this place again!!!! I have been staying at the MarVista since 2009 and just love it. 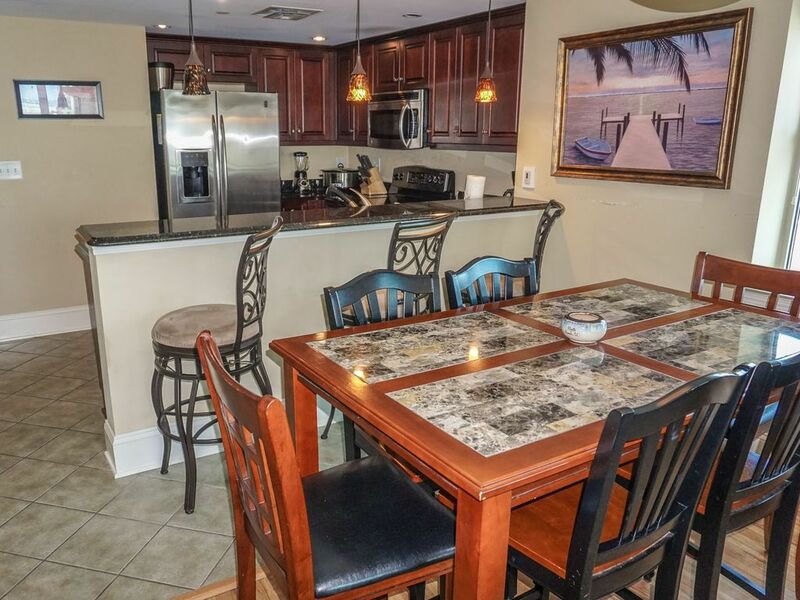 Parking is very nice, condo is clean and comfortable. The owners I work with are upfront and nice to work with. 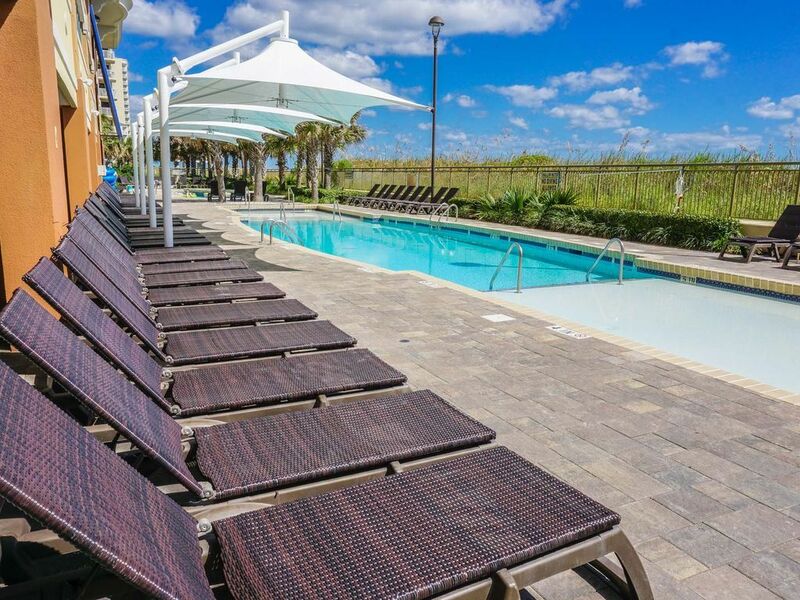 By far, the best location and cleanest condos in all of North Myrtle Beach! We have stayed in this condo for the last 4 years and have never been happier. It has all the comforts of home, the various shopping locations are within a few miles - Kroger's - Home Depot - and Melts Ice Cream. If you stay here you will never stay anywhere else. Perfect for a family trip to the beach! Great space for a family. We enjoyed our stay immensely. The beach gear that comes along with the rental was a huge plus. 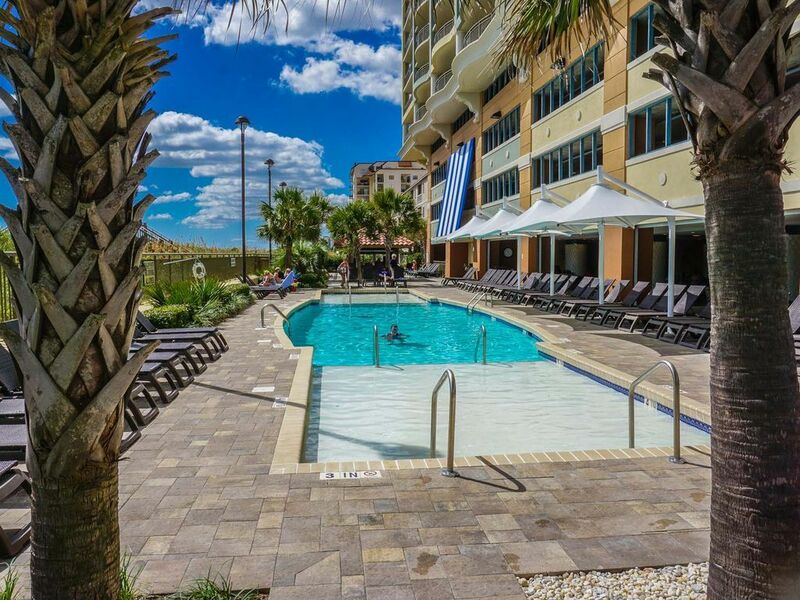 The indoor pool was great, and their is direct beach access. Great way to bring in the New Year! My husband and I have tried to make a tradition of getting away the week after Christmas every year to unwind and celebrate our anniversary. This year we decided to make it a family affair, by bringing along the kids and grandkids. 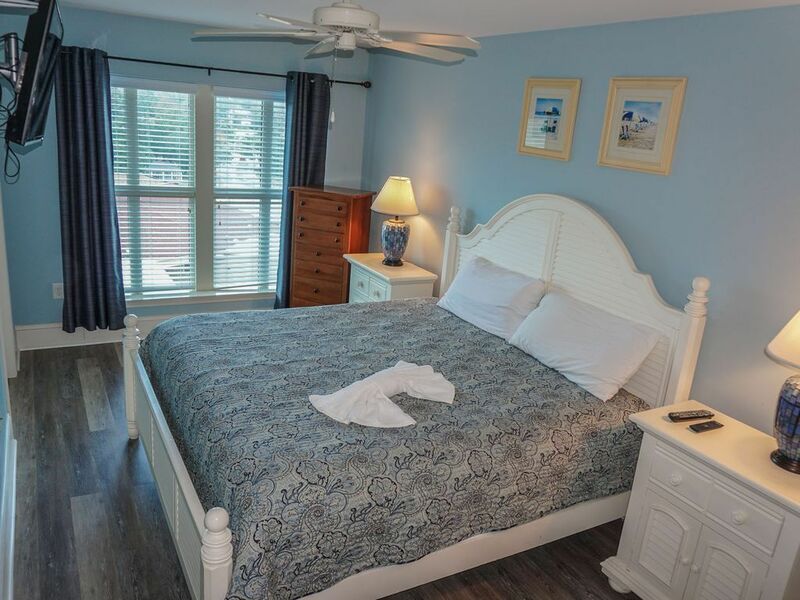 We were thrilled when we found a place that would accommodate 6 adults and 4 kids comfortably, at a great price and convenient to many of the places we wanted to go. 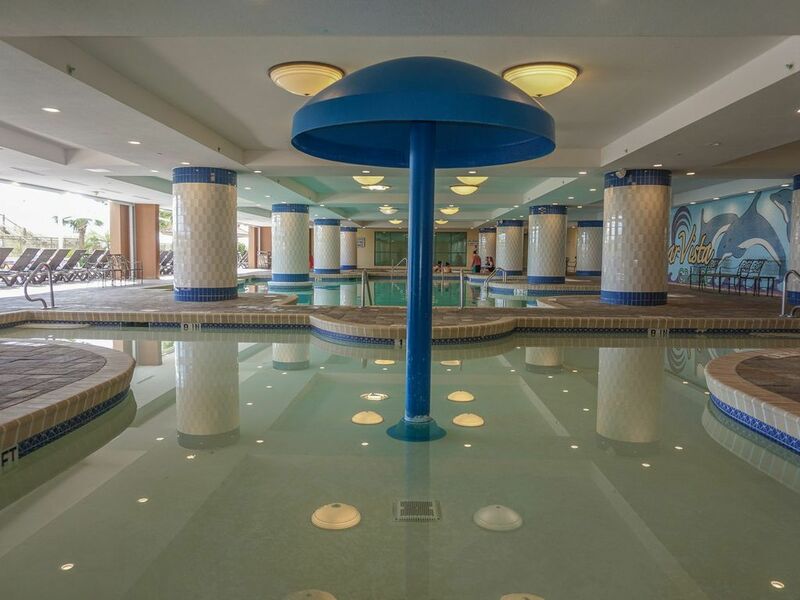 Of course the grandkids loved the heated indoor and outdoor pools and I was pleasantly surprised by the comfort and cleanliness of the pool area. The condo was spacious, clean and well stocked. I did have a small problem getting in initially, but made a call to the owner, who responded immediately and made sure we got in and everything was fine. He was friendly and professional which made our stay more pleasant because I knew I could call if we had problems. In fact, after our stay he texted me to say the cleaners had found my earrings and had them mailed to me. That's great service! Would I reccomend this place, you bet. Will I stay again, definitely. We stayed for a week with two families of 5 and the condo worked out wonderfully. The bunk room was perfect for the kids and the availability of a full kitchen was awesome. The beach locker was a special bonus as it allowed us to pack light for our trip from Michigan. 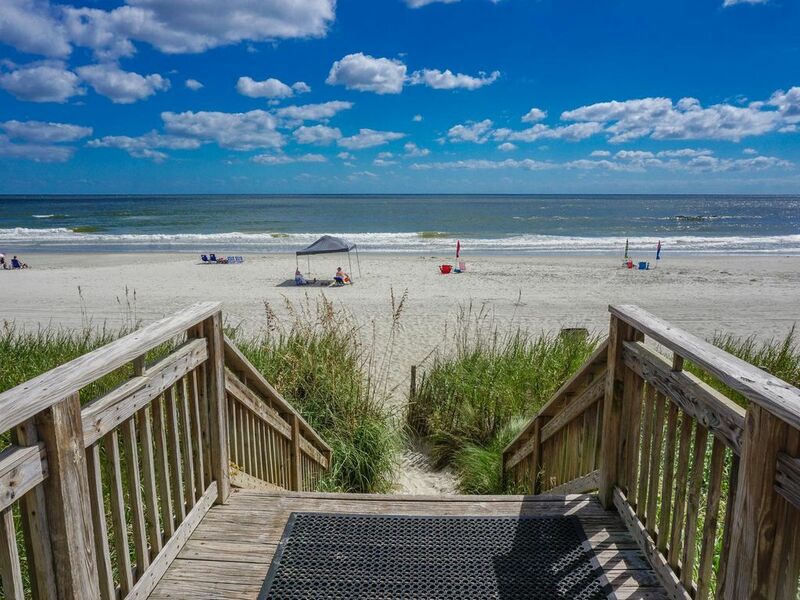 Everything you need is in the locker, beach chairs, sand toys, body boards, etc. We had one minor issue with the washer and one email to the owner and he was calling me within 10 minutes. Tom was great and very pleasant to deal with. One thing the pictures do not do justice to is the sheer size of the balcony. It is HUGE! It was great to sit out on in the morning to watch the waves roll in as we drank our coffee and equally as awesome at night for enjoying adult beverages. 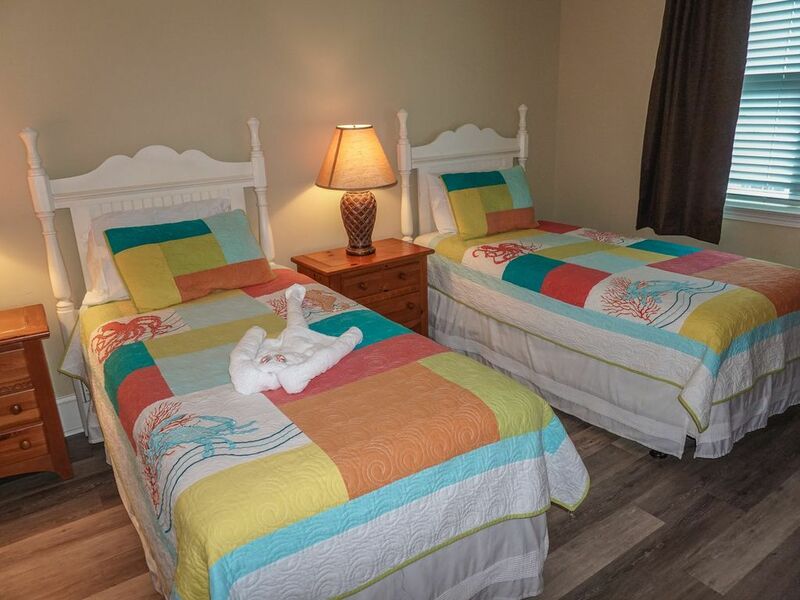 I would recommend this to anyone looking for a great, affordable place to plan your next stay in MB. 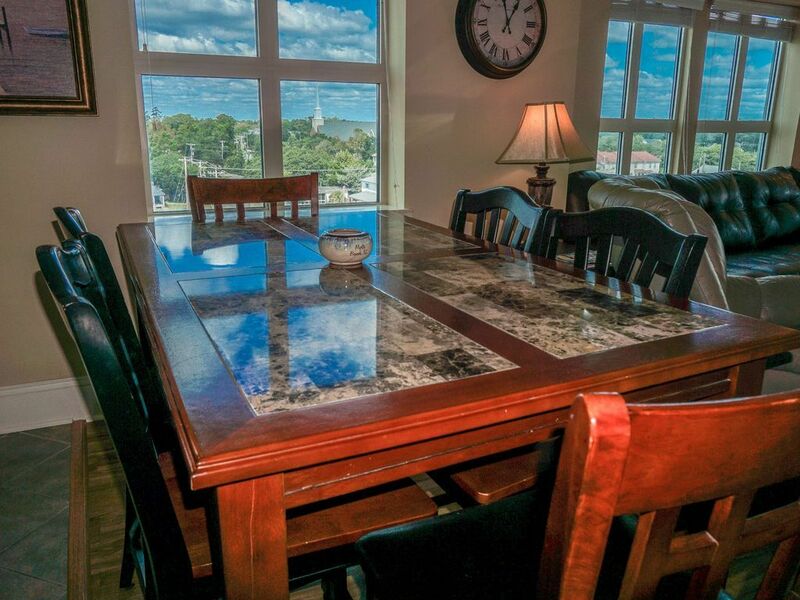 Very nice 4BR condo in a great location! Mar Vista is a fairly new and very well maintained property. The covered/mostly indoor pool was a welcome relief from the heat of the mid-day sun, and the outdoor pool and lazy river were very nice as well. 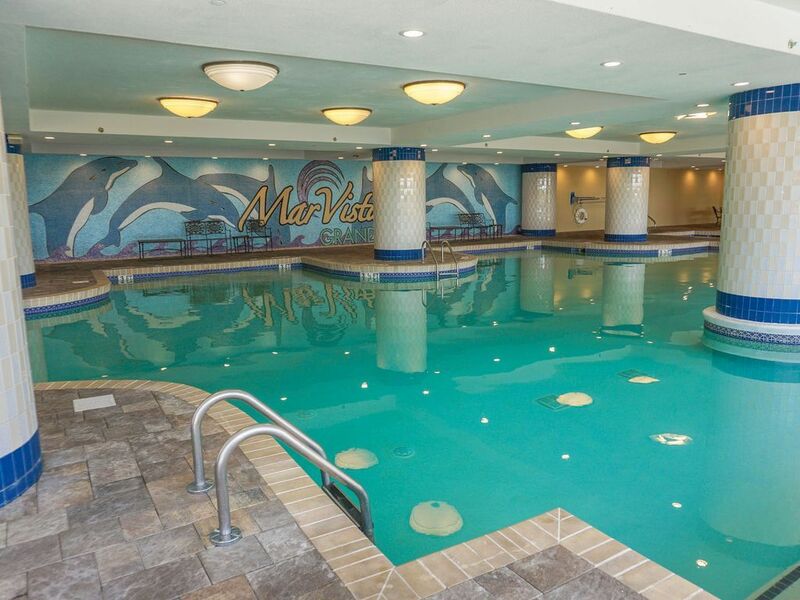 I would have liked a bit more shade in the outdoor pool area, but I guess that's what the indoor pool is for. 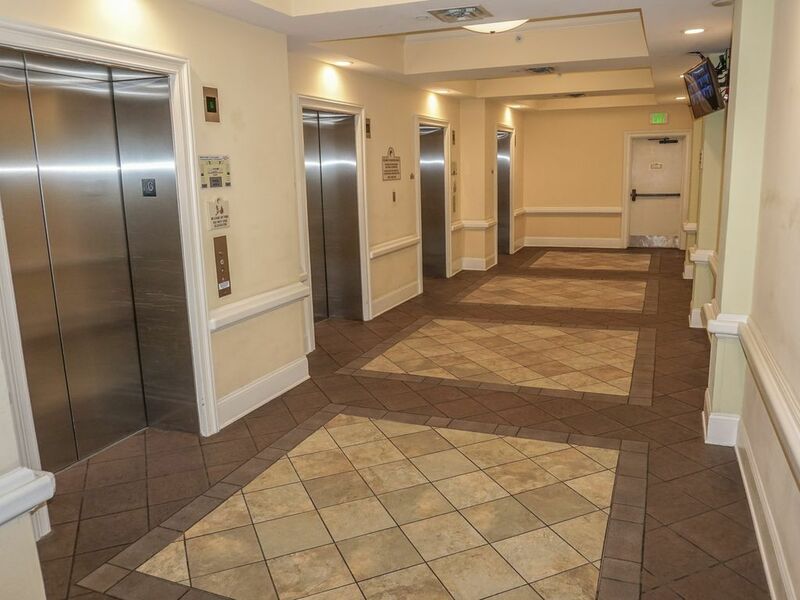 The elevators cannot keep up with demand on Saturdays as people are arriving and departing, so plan for a little extra time coming and going. The rest of the week was no problem. Not a major issue. 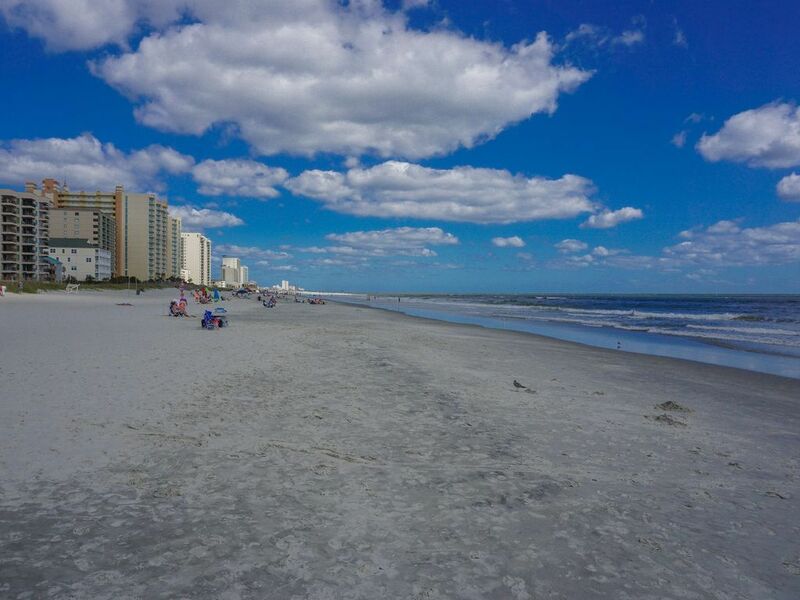 The beach in this spot is really nice, wide, and less congested than in Myrtle Beach. The water is pretty shallow pretty far out, which was great as the water was warmer than expected. The beach locker and included amenities were a very nice bonus which we really appreciated. The kitchen, though fairly small, is pretty well equipped. I despise electric/glass top stoves, but the one in this unit worked reasonably well. We were able to save some money by cooking dinner in the unit most nights. 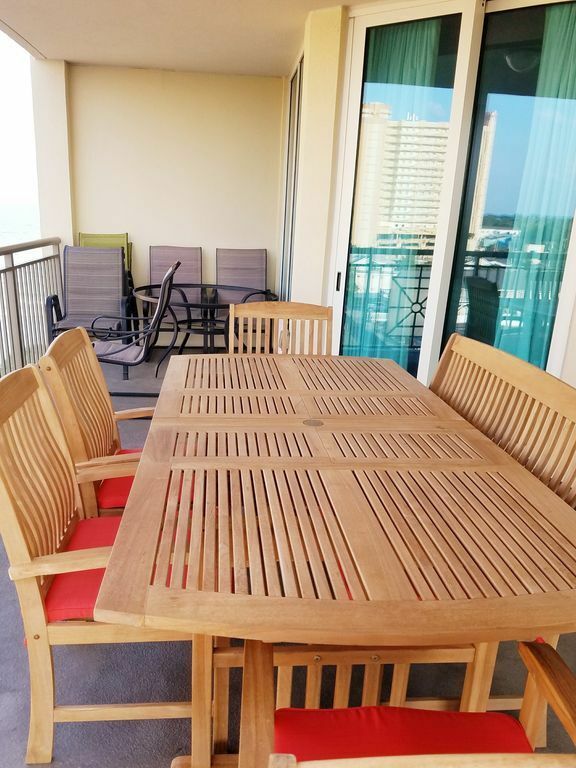 Dining seating is a bit limited with only 5 chairs at the table, and 3 barstools, but the coffee table with pull out seats worked pretty well, and there is ample room on the balcony when it's not too hot. All in all, we were very pleased and would stay here again. We stayed here for the second year in a row and look forward to going back again! 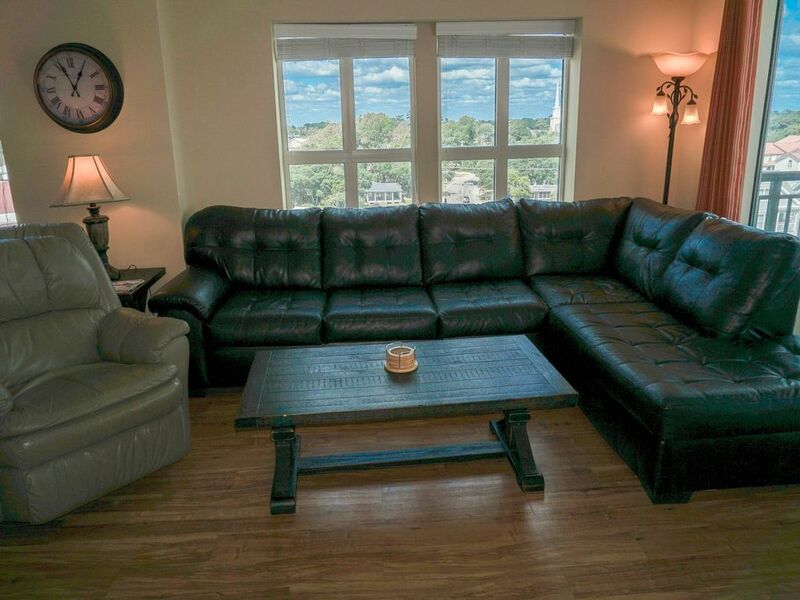 In addition to being clean and well appointed, the condo is very spacious and easily accommodated our extended family. Everything we could need to make our stay more comfortable was provided; all we needed was food! The balcony is a wonderful bonus- great views and plenty of space to stretch out. We also loved all of the pools, both inside and out. 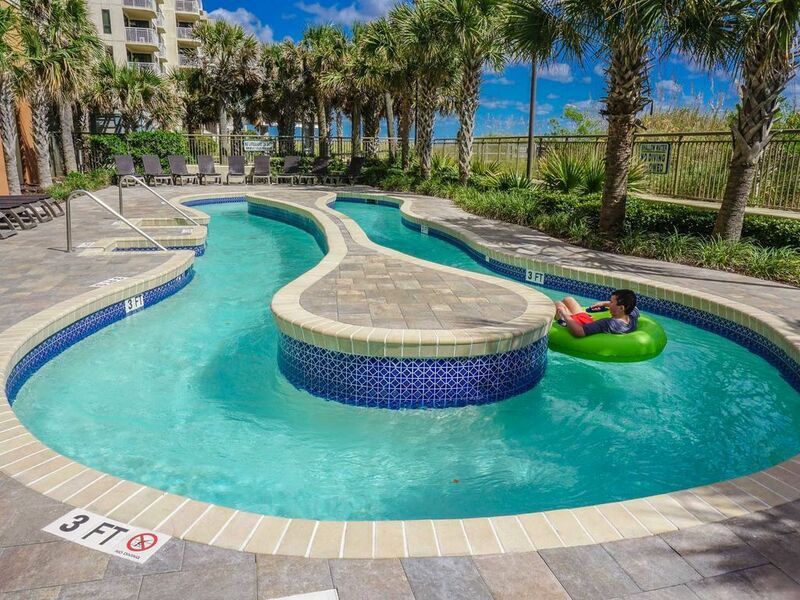 There was a pool size for every member of the family, plus a lazy river the entire family enjoyed! The kiddie pools are a very nice size and kept the 2 year old entertained all afternoon. The owners were also very attentive; calling to make sure we were comfortable with the check-in procedure before we left and again after we got there to make sure everything was going well. Tips: the fall is the the perfect time to go. 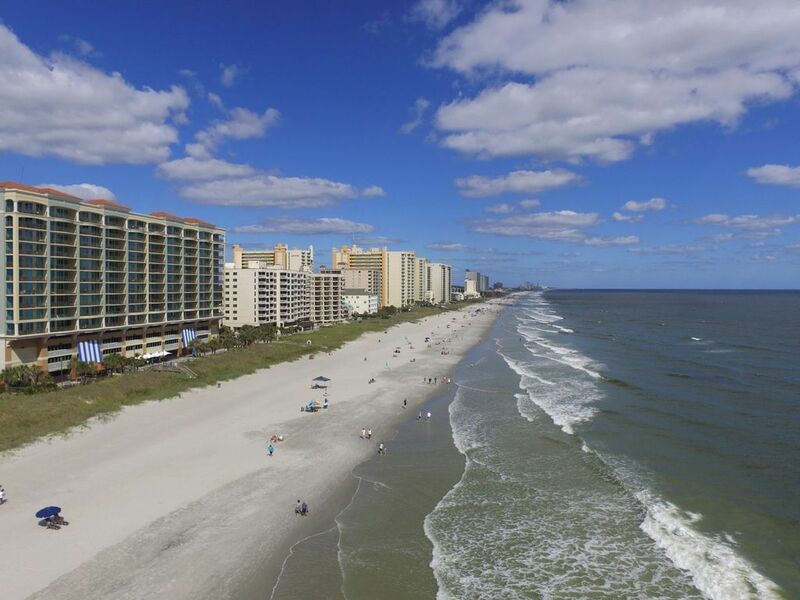 The weather is great, but the beaches (and other attractions) were nearly empty! For dinner, Benito's Brick Oven is just up the street and has fantastic Italian food! 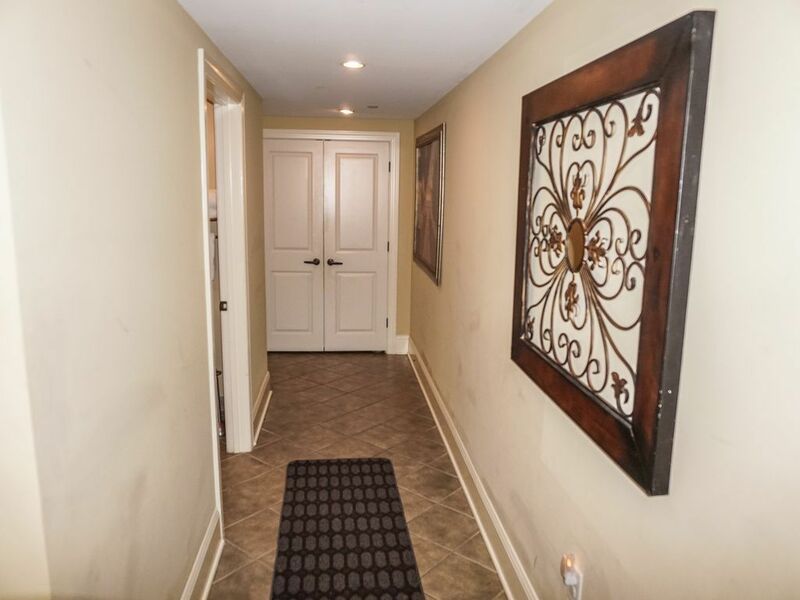 Beautiful and well appointed condo! Perfect for families! We have vacationed at Mar Vista Grande for three years and love it. This was the first time renting this unit as we were looking for 4 bedroom unit to house my family and a friend's family. 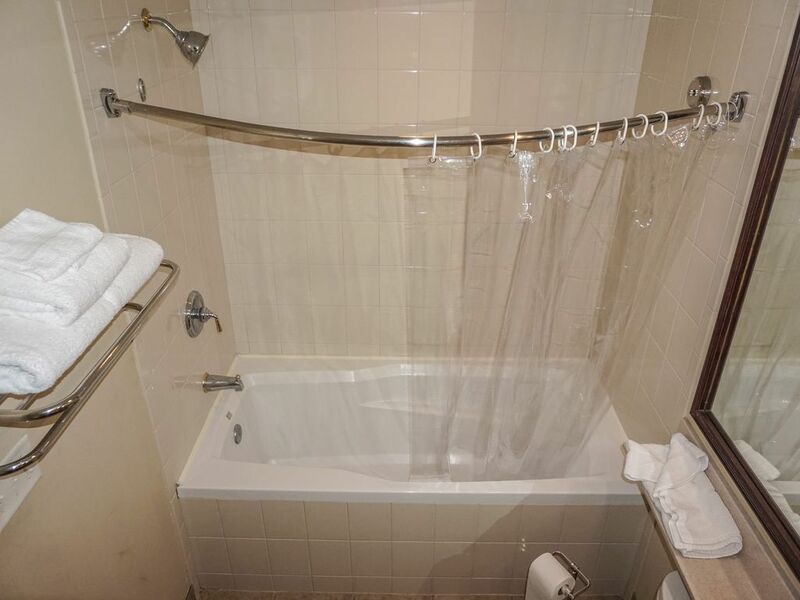 The place was perfect as it has two bedrooms with kings (including their own private bathrooms). 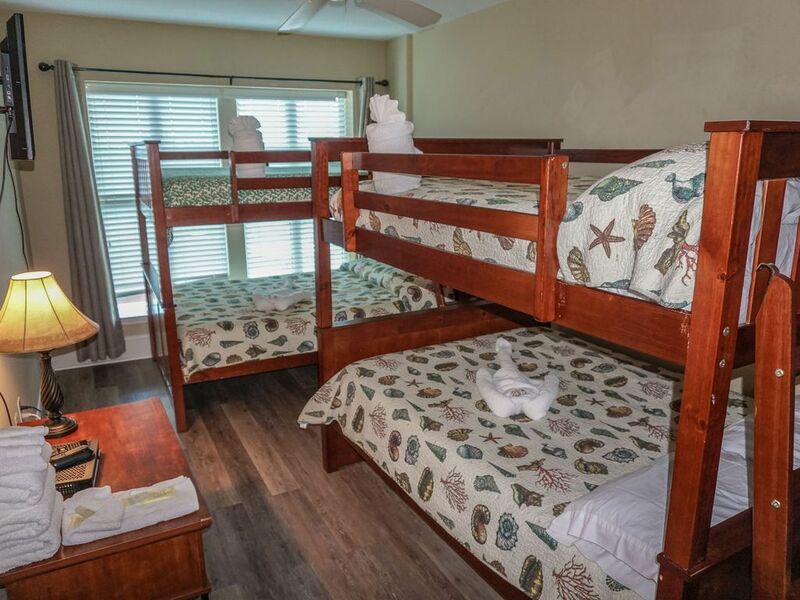 One of the rooms has double bunks which is great for the kids. 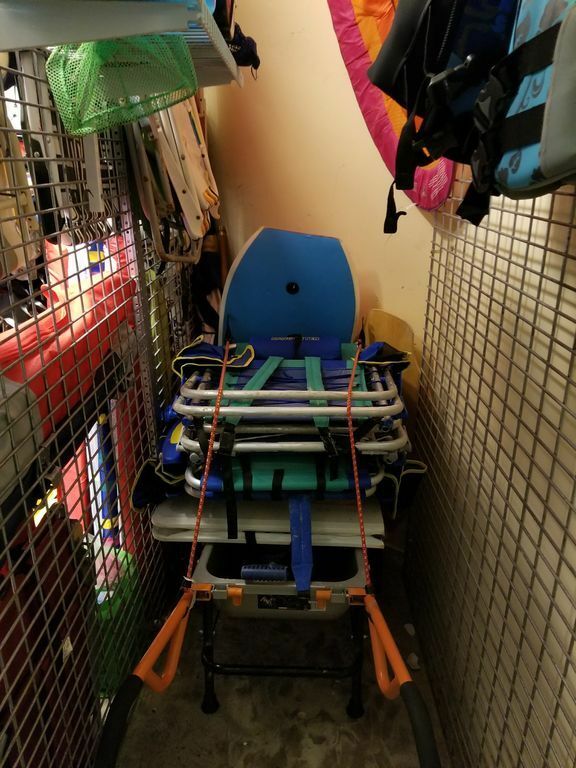 One of the best parts was the owner shared a locker full of beach gear, which has everything that you can image, and saved us from having to pack our own gear. It was also nice that the owner provided little items that I seem to have to buy every time I rent (like liquid soap for each sink, salt and pepper, laundry detergent). Finally, the owner personally called us the day before we went down to let us know about the check-in procedures and to give us helpful advice about the unit and area. Very positive business transaction. Communication was exceptional. The condo is as photographed. 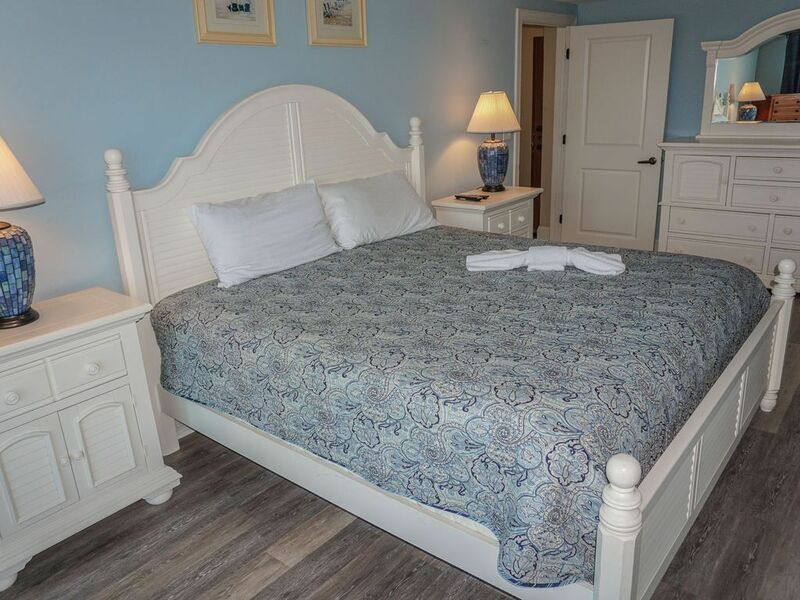 Nice quality beds and linens. Stunning view with plenty of room to relax. 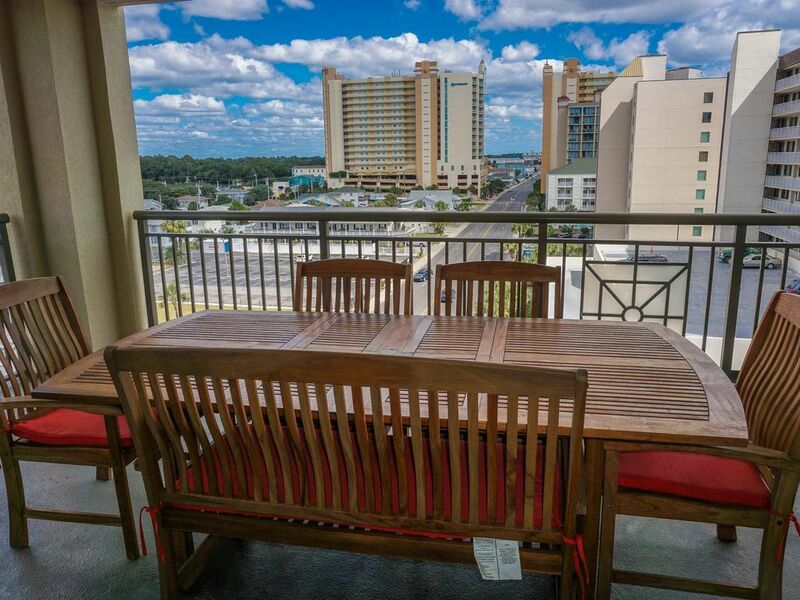 This condo is on the side of building with a nice view down the strip as well as the beach. 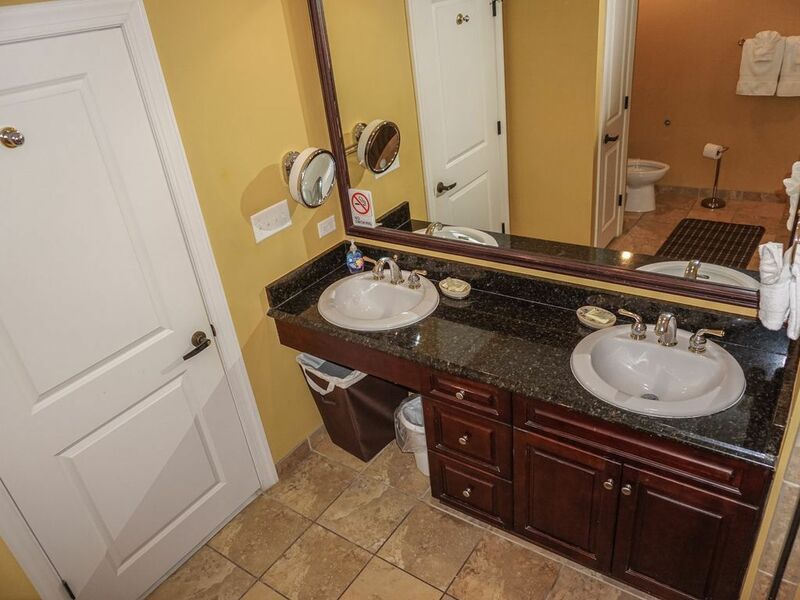 The amenities within the building are excellent. 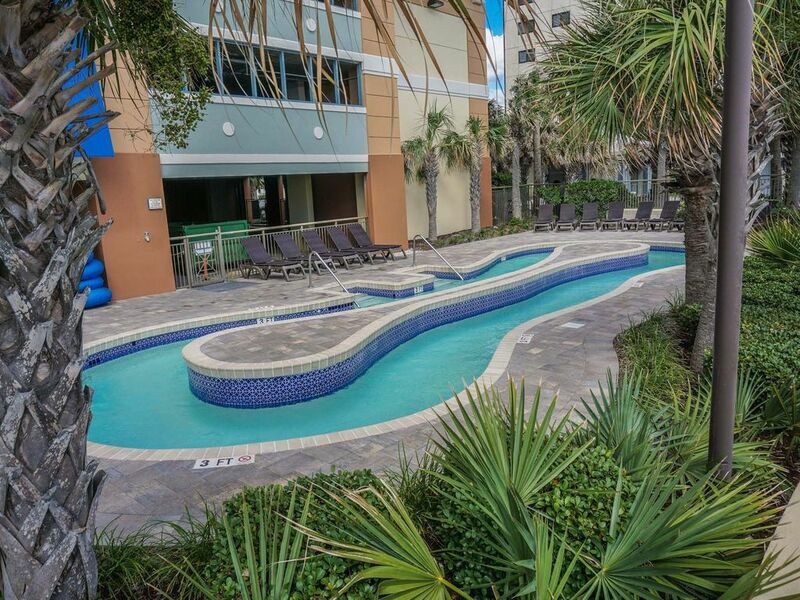 The shared spaces are top notch and very well maintained as well as beautiful .... Even the garage looks sharp. We found our home for the week very comfortable and enjoyed our time in Myrtle Beach. We had one minor issues that the owner resolved promptly. 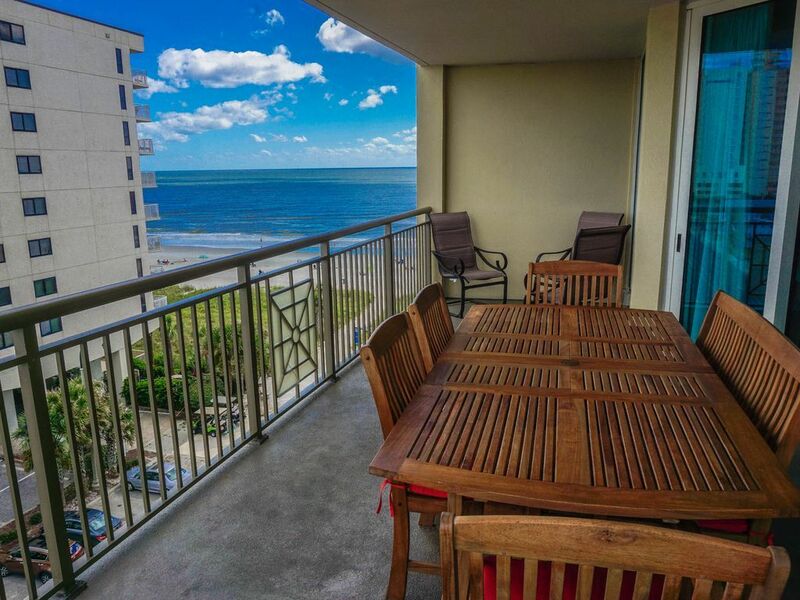 We would not hesitate for a moment returning to this exact condo. Thank you Tom. :) TIP: Just down the street ... Walking distance is Bubbas for dining.... Excellent food! 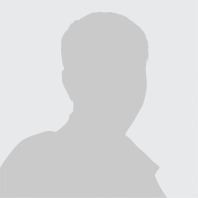 Tom Raglow 440-231-1901 Show Phone No.